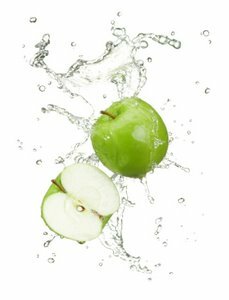 Get started on your all natural detox with these top 10 tips on how to detoxify the body naturally. 1. Do eat lots of fresh organic fruit and boost the amount of vegetables in your diet. Even if you don’t usually buy organic produce, invest in it for the period of detoxification. You want your body to flush out toxins, not be adding in additional chemical residues for your body to battle with. 2. Do drink 2 – 2 ½ litres of clean water daily. Water helps your body eliminate waste and clear out fatty deposits. Your kidneys can’t work properly unless your body is properly hydrated, which adds to your liver’s workload. Start each day with a mug of warm water and lemon juice. This helps your body flush out the small intestine. Remember that your body is about two thirds water. As excess water isn’t stored you need to top yourself up daily. Fill a large drink bottle or container and keep it handy while you work so that you are constantly rehydrating your body throughout the day. 6. Don’t drink coffee, try herbal teas instead. Health food stores carry an interesting range that will inspire you to prepare yourself a steaming hot cup of an exotic detoxifier. You’ll actually feel pampered rather than caffeine-deprived. There are all natural detox and flush blends available, or make your own detoxifying teas with herbs from your garden. Strong herbal detoxifiers include dandelion and milkthistle. Juniperberry teas and cranberry juices are useful for getting your body’s water balance evened out. 10. Don't be surprised when your natural body detoxification leads you to consider detoxifying other areas of your environment. Cleansing your body will give you a surge of clarity that enables you to evaluate what you do and don't need in your life. Detoxification and healing go hand in hand, and having fresh eyes may inspire you to make changes in a proactive and positive way.